Edible Sugar Cookie Dough made with 4 simple ingredients: Butter, Sugar, Flour, & Vanilla. I love making sugar cookies with all that butter & sugar, yum! I also love sneaking a spoonful here & there when I’m making them but I won’t if it has eggs added to it already because I worry about it making me sick (I know…what are the odds?!). This recipe is perfect for those times when your craving a little sugar cookie dough. I derived this recipe from one of my favorite butter/shortbread cookie recipes & it makes pretty delicious dough for consuming straight from the spoon. Recipe makes a small batch, about 2 servings. Update: I’ve gotten a lot of feedback from people about this recipe. Most seems to tell me they like it as is. A few people have told me they needed to add a tablespoon or two more of butter because their dough was a little dry. Some suggest adding a pinch of brown sugar or a bit of milk also. All good ideas! Mix in vanilla. Mix in flour until soft dough forms. *Eating raw flour has become a concern for some people. People have been trying the microwave method to heat flour to 160 F. degrees, I have not tried it. Disclaimer: Make & eat at your own risk. 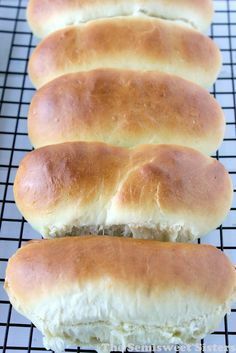 Really simple and easy recipe. Thanks for sharing. Hi Angeline, I think it could be made just fine if you just mix it by hand in a mixing bowl. Oh this looks SO good! I’ve made chocolate chip cookie dough like this before, but never a sugar cookie kind. I have a feeling I would devour this ALL in no time! OH GOSH. Now I will definitely eat All The Cookie Dough. Can you plan add me to your newsletter… I have looked everywhere to signup but I just can not find it. Ps … I just love your blog…. I want to make everything that’s on here! Hi Sandra, Thanks! I just added you to the newsletter. Sorry, it is hard to find our signup its under “follow the semisweet sisters” there is an rss symbol. I will work on making a more visible column on the side that says newsletter sign up. This was super delish! I added crushed pecans instead of sprinkles and a pinch of nutmeg let it dry out a little on the counter an used it as an ice cream topping….yummy! Hi Cierra, I’m glad you liked the recipe! Using it as an ice cream topping sounds amazing! I made this cookie dough and it was extremely crumbly so I doubled the recipe and the 2nd time I melted the butter instead of softening it. The size of the cookie ball was the size of a softball, with the recipe doubled. Hi Cami, I’m glad the melting of the butter worked better for you. I have tried that but had better luck with softened butter. The original recipe does make a small batch, enough for 1 person, 2 at most. Does it have to be salted butter? Hi Shayla, No. You can use unsalted butter if you prefer. You might want to add 1/8 teaspoon salt to the recipe however. Hi can you bake the cookies? Yum, I am so glad I found this recipe tonight! I was craving dessert and whipped this up. My husband and I gobbled it right up! I doubled the recipe, mixed in 1 cup of vanilla yogurt, and froze it overnight. Yummy Sugar Cookie Fro-Yo!!!!! Hi Marissa, I’m glad you liked the recipe! Substitute the white four for oat flour. I would suggest adding just a table spoon of milk to this recipe. It keeps the dough together much better and creates the cookie dough consistency we all love !! Hi Hadley, Thanks for sharing that tip! I’ll have to try it. I’m one that eats regular cookie dough (rebel I know) but with a new baby, I need to actually try to be safe.. sooo this is perfect. I also had two dreams about sugar cookie dough. Hence me reading this lol! Also people are concerned about flour? Pretty soon people will be concerned about oxygen. Hi Kyra, Thanks for commenting! I hope you like the recipe! :) BTW Congrats on the new baby! Hey! I’m not sure if I did something wrong, but mine turned out really floury, crumbly just didn’t have a very good consistency at all. It’s probably my fault, but can you think of anything I could of done wrong? Hi Lilian, I have had a few people tell me that theirs also turned out dry so they added a little extra butter. Perhaps the flour was packed down when measured or the butter might not have been soft enough when added. Hi Danni, I’m not sure what the problem could be. 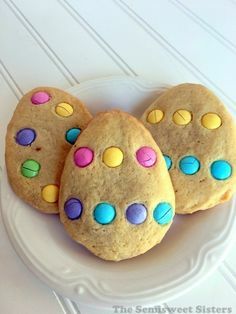 The color could be effected by the kind of flour your using, I use king arthur unbleached all purpose flour or maybe the brand of butter but the dough is pretty pale in color because it does not have egg yolk in it. It should have a vanilla flavor to it & mine also has a strong butter flavor which I like. Try using colorless vanilla. You can find it in the cake section at Walmart I believe ? is it safe to eat normal cookie dough? They say you are not supposed to eat raw eggs in cookie dough. What if I dont have any extract? is it neccesary? Hi Lex, I’m glad it still worked with gluten free flour! This has got to be the best and most simple cookie dough recipe ever. 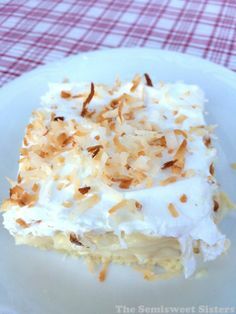 This is my go to recipe for when I need something sweet but don’t have a lot in the house. So impressed. Thank you! Kylie, I’m so glad you liked the recipe! I don’t have butter and I really need something sweet, could I use oil? I do not recommend using oil, it is not a good substitute for this recipe. You could use a butter substitute like smart balance, earth balance, etc. This recipe needs the buttery flavor. Hi Jordan, I’m glad you like the recipe! I am not sure how it would taste with a sugar alternative, I have not tried it. I someone use stevia in recipes instead of sugar though. Good to know! I haven’t tried it cold. Thanks! I loved it! 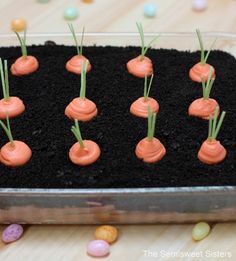 Great, quick and easy sweet treat. I don’t have a blender so I made it in a bowl whipping with a fork and it turned out really good. Hi Sallie! I’m so glad you liked the recipe! I’m glad that hand mixing worked out okay! Thanks for commenting! 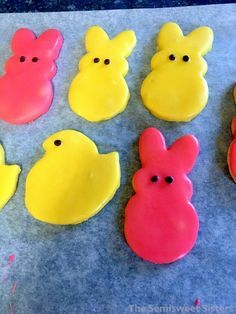 Hi Rebecca, I have never tried using a sugar alternative for this specific recipe but I have used Stevia for baking other desserts, it did change the flavor/texture some. You could try using a sugar-free ingredient though. Hi Katie, I want to start out by saying I love your recipe. I have made it a few times. I have put chocolate chips and coconut in them and baked them, and they turned out really awesome. My question for you is: Can you use three tablespoons of brown sugar instead of three tablespoons of white sugar? 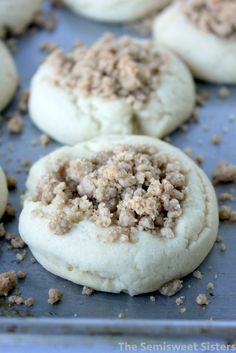 Hi Bobbie, I have never tried using brown sugar for this specific recipe but I have tried it with many other cookie recipes & it turns out fine, the flavor is just different. Thanks for commenting! Hello Connie, This recipe is for edible cookie dough, not baked cookies. If you’d like to bake them into cookies, which is actually shortbread please follow the link for butter/shortbread cookies above. Hello I think that your sugar cookie recipe is delicious? Hello Emmma, Glad you like it! Thanks for commenting! Hi Valen, Thanks for the suggestion of adding salt, I will have to try that. Thanks for commenting! Hi Kate, I’m glad you like it. Shortbread cookies are one of my favorites too! Thank you for commenting! I used regular white sugar. This just cured my monthly PMS cookie dough craving thanks! Hi Natasha, I’m glad this recipe helped your craving! :) Thanks for commenting! I’m glad you liked the recipe! Thanks for commenting! Hi Ella-Rae, Thanks for sharing this information. If the butter isn’t melted enough before adding it it can make the cookie dough too dry & crumbly with this particular recipe. Also this recipe makes a “thick” sugar cookie dough which some people have commented that they preferred to add milk to make it thinner. I hope it still turned out for you & thanks for taking the time to comment, we appreciate it! Hi Karla, I’m glad you liked the recipe. Love the idea of adding peanut butter to it, sounds delicious. Thanks for commenting! Hi, what kind of flour do you use? Hi Cayley, I use unbleached all purpose flour. I think the only “correction” is that it’s not 2 servings ;) so yummy! ? Hi Makayla, I’m so glad that you love the cookie dough recipe! Thanks for taking the time to comment, we appreciate it! Can you bake the dough or does it have to be raw? Hi, You can bake the dough if you want, the recipe for baking is here: http://www.thesemisweetsisters.com/2016/02/17/cps-lunchroom-butter-cookies-4-ingredients/ . Thanks! About how many calories would this be? What a great way to fix my sweet tooth with items I already had. Hi Mandy, Hope you like the recipe! Thanks for commenting, we appreciate it! Hi Judie, I love the idea of making pumpkins for the top of cupcakes! In answer to your question I do not think this recipe would work good as an alternative to fondant. This recipe is dry & would not be able to be rolled out. If you did want to try this recipe you would need to either reduce the amount of flour or add liquid to the recipe to make it more workable. Yummy! I love to eat cookie dough. I’m glad I found this safe recipe. It’s so easy to mix up a small batch. One day when I ‘m feeling crazy, I ‘ll bake the cookie dough! Hi Susan, Hope you like the recipe. Thanks for taking the time to comment, we appreciate it! Wao, I love this recipe!!! Do I need to refrigerate the cookie dough? Or can it stay on the counter overnight? Hi Nareshy, I would keep mine in the refrigerator just because it will stay good longer. Thanks for commenting we appreciate it!